Welcome to CA, Rev. Susan Manker-Seale. Rev. Susan was born in Riverside, then spent most of her life in AZ. Her biography is impressive. 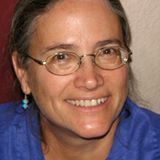 A graduate of Starr King School for the Ministry, Susan sings, she writes books, poems and music, is a social justice advocate, speaks Spanish, is a published author and much more. Susan has served as parish minister in a few different congregations for nearly twenty-five years. We welcome her as our Interim minister for the next two years; preparing MVUUC for the process of finding a settled minister at the end of her two-year interim. Susan has a lot of extra special experience as she learned about Unitarian Universalism from birth. Susan’s dad is now a retired UU minister. Again, please welcome Susan when you see her at church.